It’s Tuesday! 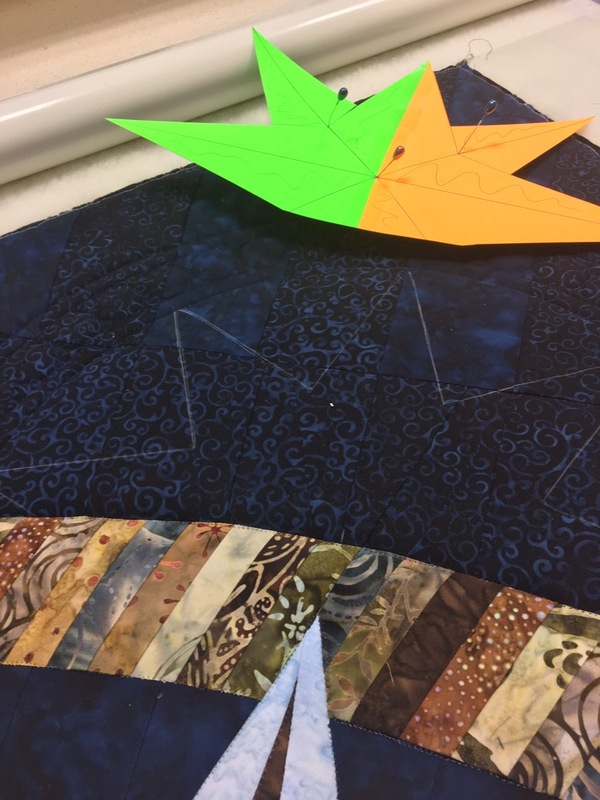 Time for another tip……finally! It has been good to have some time away from this, but I am also glad to be back! 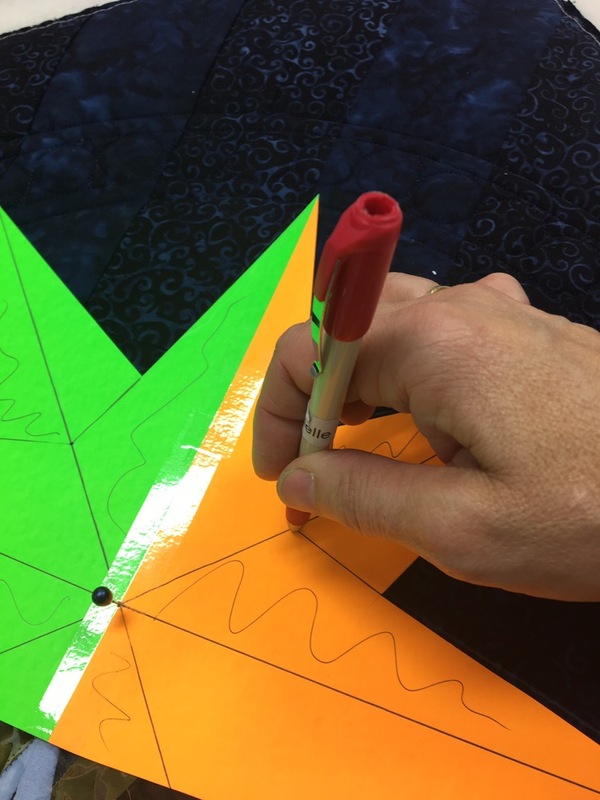 Today I will show you how I marked the Motif for a Mariner’s Compass in the corners of Anna Pilcher’s Quilt! 2. 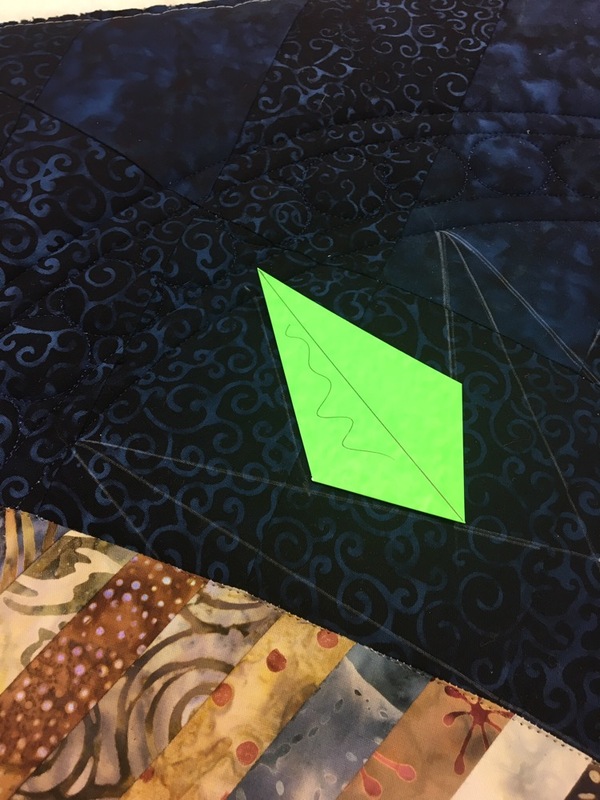 I pinned the cardstock to the quilt, matching centers of the Motif to the piecing…. 4. 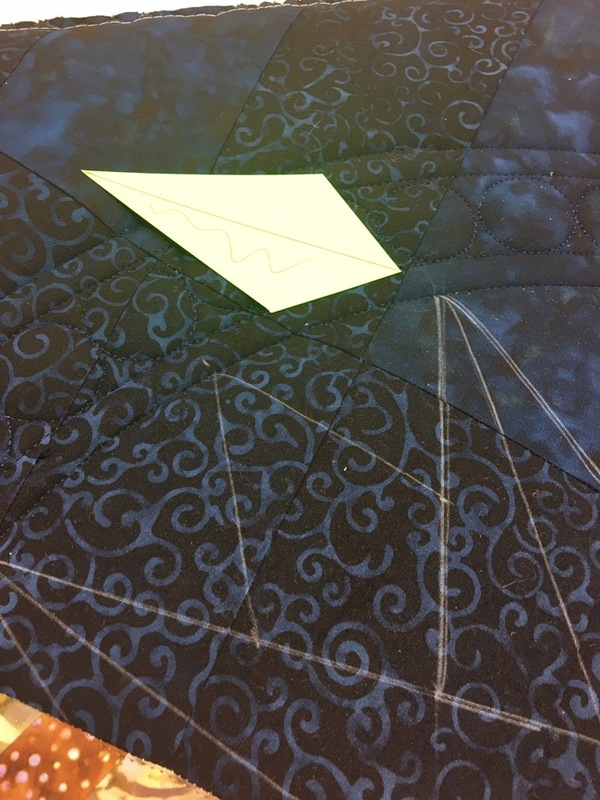 I punched a hole in the cardstock pattern so I could mark a dot where lines in the middle of the pattern needed to go, and marked them with a pencil…. 5. Then I drew the interior lines of the design. I forgot to take a picture, but you can tell from step 6 picture…. 6. 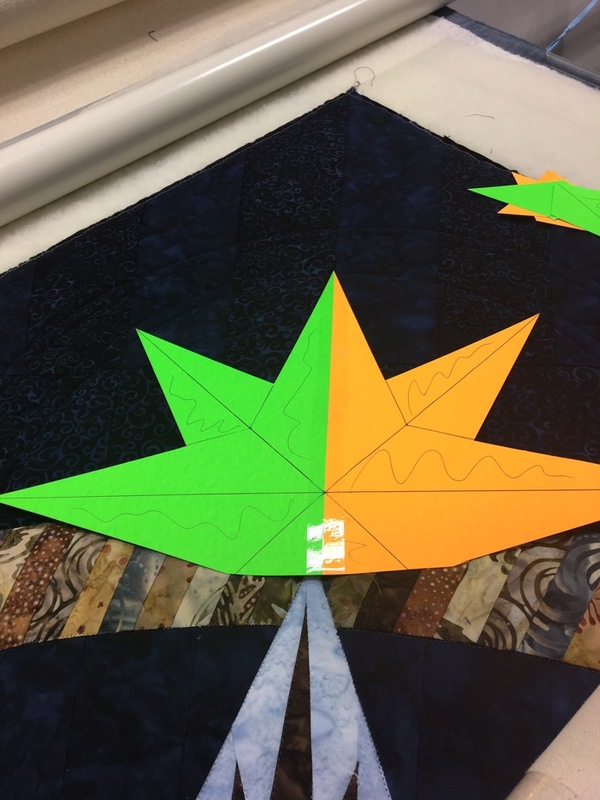 Next I placed a cut out of one more point onto the already marked Motif and added it. I cut it out of the big template to make it easier to mark the rest…..
LOL! 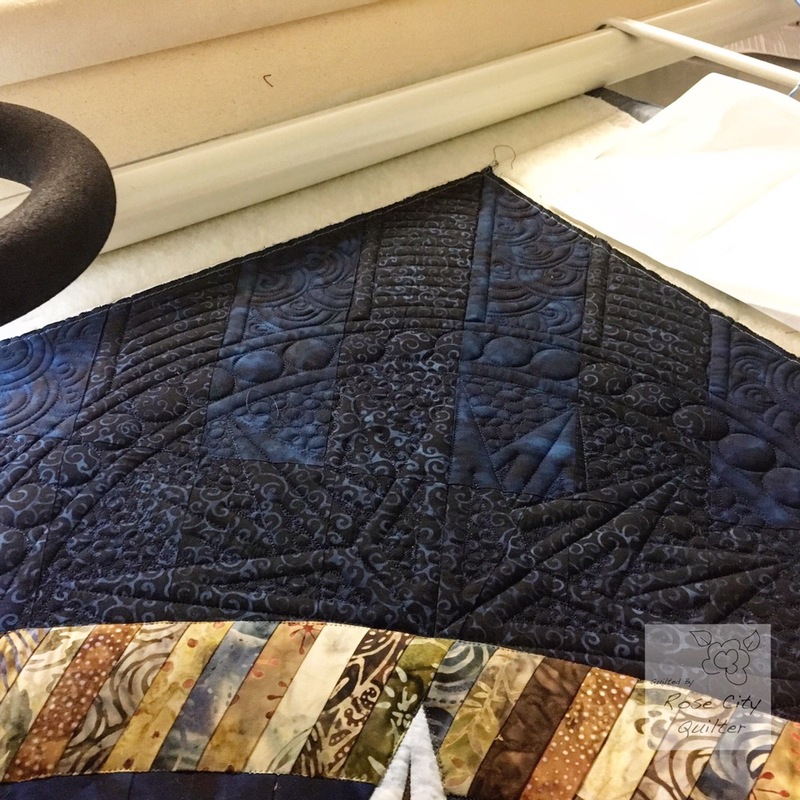 😜 Could not resist….you can see from the photo how I quilted it…. 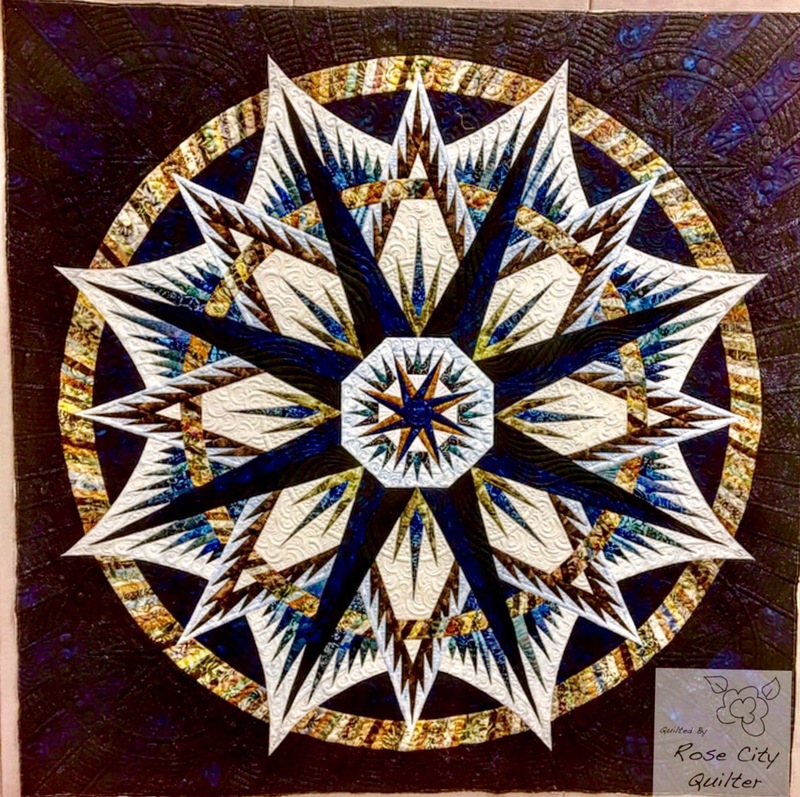 You did a wonderful job quilting Annie’s quilt. 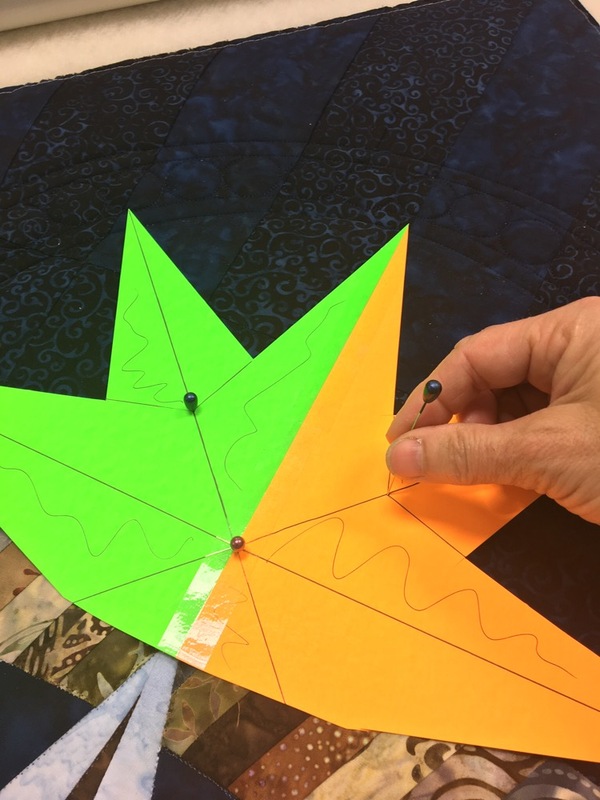 You are so talented – to be able to see what needs to be done to make a quilt “pop”.